The Grange is America’s oldest family-oriented community organization, rooted in agriculture. 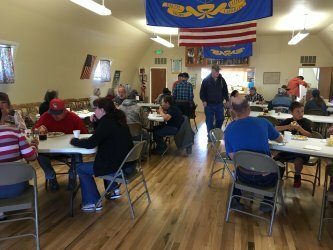 As Durango’s local chapter, Florida Grange #306 manages it’s grange hall just off of Highway 172. National Grange members enjoy a variety of benefits and programs that help encourage local stewardship, community service, leadership, citizenship, and more. Florida Grange #306 supports local youth and wellness initiatives by hosting Cub Scout Pack 508, two 4-H Clubs, the 4 Leafs and the Mountaineers, as well as Zumba classes and Wild West Squares square dancing. 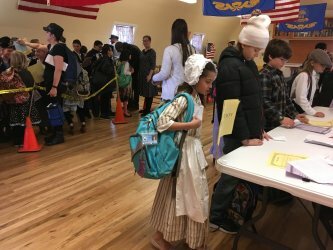 We also donate the hall for special use to schools, such as Needham Elementary School for their Ellis Island re-enactment. The hall is available for rental by the community for special events, parties and business meetings. Internet is available upon request. Get in touch today to see how we can accommodate your next event! At its core, Florida Grange #306 is a community involvement organization, offering free breakfast every month, March/April thru September/October (depending on weather). We also host a bi-monthly potluck, the next being in September. Events like this help bring members and non-members alike together. Please check the events tab for special events around the county. You can also get in touch with the three other granges, Animas Valley #194, Mt. Allison #308 and Marvel #479, located around the county for your convenience. Their events will also be posted in the events tab. This listing for Florida Grange #306 is generously sponsored by Wild West Squares, which is dedicated to growing Square Dance in the Four Corners and providing an opportunity for students of all levels to continue learning--and have fun doing it!